Wes, as it turns out, is pretty good with water magic. A little bit less so with justifying betraying his friend, though. 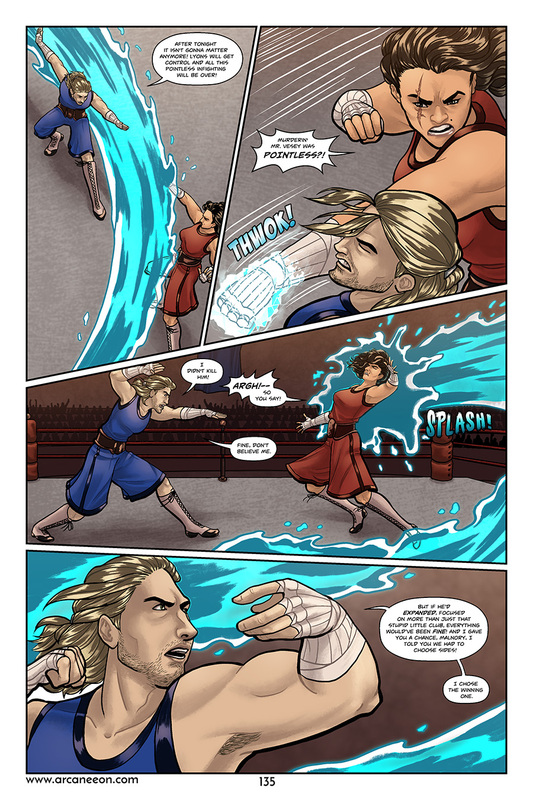 Again, another page where I was pretty happy with the way it turned out, though the water took more fiddling with than on the previous page.